I’ve said it before. I’ll say it again. I hate having to write for a living. It feels like having ethyl alcohol for breakfast (yes, I’ve tasted it) or having nosebleeds upside down. But I share the fate of Anakin Skywalker. 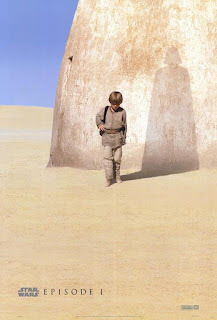 The sequels of my life must have been written way before the prequels and I am doomed to take the form of the looming shadow behind me. Anywhere I go, I am taken seriously only when I parade an esoteric array of words that never cease to impress those who struggle to use cat and dog in the same sentence. I find commercial writing the hardest to do. When I was still in school, I had a feeling that my papers got As because my teachers involuntarily rolled over and performed dog tricks every time they read words like “traverse,” “tribulation,” and “incontinence.” Business clients are not so easily tricked into parting with their juicy bones. Because their major interest is to sell, they prefer words that even real dogs can understand. When a composition is stripped of its gilded trappings there’s nothing left but either a really understandable paragraph or a naked fool of a sales pitch. Somehow it helps to be Filipino. I suspect that my husband would rather dance the Can-can than sweat under the midday sun and my mom would rather join a Japanese game show than squeeze some sign of life out of students who are less enlightened than dead fish. But because we are Filipinos, we do what we have to do and just bite the bullet. So Luke, I really am your father. just curious: d'you think you'd enjoy writing research papers? philippine paper pushers and all that? or would you stick to literary pieces? You're writing skills has never diminished Gracie, or Ninah. By the way, if you celebrate FEMAEL POWER, just click on the link. but we are darth vader! hehe. well that is so true my friend.